In the beginning of March 2014 the students in the Build San Francisco Program began the Mars Metropolis Project, an attempt to understand how a small community could be established on Mars and sustain itself with only occasional support from Earth. The students had about six weeks to complete their research, design their community and produce an animation detailing their efforts using Autodesk 3ds Max software. This was a daunting task for the students, who needed to complete extensive research on conditions on the red planet and then design sustainable systems that would support life. At the same time, they needed to master an extremely complex computer software and plan animations that would explain their design solutions. It is important to also mention that over half of this year’s Build SF class were English language learners, some with only a year or two in the U.S. The students’ success was quite remarkable. Not only did they learn an enormous amount of information about conditions on Mars, they grappled with sustainable solutions for energy, food, oxygen, heat, water, transportation, and the other necessities for human life and even considered possible approaches to recreation for the inhabitants of their community. Fortunately they were well prepared for the challenge by their Instructor MS Julia Janeway, who had spent the year teaching them about the sustainability issues we face on Earth, as well as giving them a solid background in the design process and the ability to learn advanced design software with confidence. In addition, this year we had support from the staff of Jet Propulsion Laboratories, who were able to answer student questions with timely answers and point them to articles and videos that explained the difficulties of establishing a habitat on Mars and the current thinking regarding solutions. As a result the designs created by the students were grounded in the latest scientific knowledge and went far beyond the usual naiveté all too often found in high school science projects. The students were remarkably serious about their work. They were also quite creative in their use of technology to manage their team projects including use of cloud technology such as Google Drive and Autodesk A360 to communicate and share their files between their class meetings. Many students spent extra hours in the Build SF Design Studio to complete their work, or downloaded free copies of Autodesk software so they could work at home. As a capstone project the Mars Metropolis project meets all of the criteria that the Architectural Foundation of San Francisco looks for when designing challenges for students. First and foremost it is a real problem that scientists around the world are seeking to solve, and the answers that are found will be incorporated in the first human landing on Mars in less than twenty years. Second, it is rooted in what are now known as STEM subjects, with students combining knowledge of science technology engineering and math to complete their work. And most important it is a topic that any high school student finds engaging, and when given the support they received from JPL and a well managed program, they produce professional results. In addition, this project has attracted international attention with four schools – two in the United Kingdom and two in Australia – working on their own solutions to the challenge. Because of the differences in school schedules, this is an asynchronous project, with some schools working on it now and others beginning later this summer, with about 200 students taking part in this initial pilot. The results of all these efforts will be shared using Autodesk A360 Cloud Technology and as new results are shared and the numbers of students attempting the challenge continue to grow we expect to see a very interesting range of solutions. At present we are building out the A360 site and working out communication strategies that will allow teachers and students to interact with JPL and with each other. Our initial success has been such that we expect an even greater result as we expand the project in the fall, and a new group of Build San Francisco students go beyond the answers this year’s group produced. In the not so distant future after several attempts, human beings have established a sustainable community on the Planet Mars. Beginning with the first manned mission to Mars in 2033, when a small team of astronauts successfully supported themselves on the planet for two years and then returned to Earth, NASA and the mission specialists at Jet Propulsion Laboratories have flown successively larger and longer teams to the planet, until at last enough systems were developed that a true community of men, women and children could be supported in a permanent small city. Design Challenge: Working in teams your assignment is to describe this community, and using Autodesk Software, create examples of the various elements that make up a sustainable community on a hostile planet. You must base your designs on what is currently known about the planet and our best estimates of what will be required for survival on Mars. Our partners at JPL will assist in providing answers to your questions regarding the options available as they are now known, and the future possibilities that we know exist. You will work in teams to research and solve each of the community’s needs. Individual team members will select a specific community support system to design and describe. Note: You may create an optional additional video showing support system flights from Planet Earth to Planet Mars that would help supply the mission and provide regular schedules of return to Earth by the inhabitants. The overall size and population of your community is up to you. However, you need to demonstrate that your solution is sustainable and is supported by current scientific knowledge or projections supplied by experts. Your solution must be delivered in a 3D model using Autodesk Software and rendered as a narrated 4-5 min movie. A written description of your community and the solution to the design constraints placed upon you by conditions on the planet is also required. A. Reflect: What will it take to live on Mars? What natural systems does Earth provide that allows us to survive? Some natural systems that Earth provide that allows us to survive are water, food, energy( light/ heat). What human made systems allow for our communities to thrive? Transportation and housing are human made systems that allow our communities to thrive. What challenges are unique to Mars that we would need to be solved for survival? On Mars humans will need heat, light, oxygen ,electricity, liquid water food and land. What life support and community systems will need to be created for Mars Metropolis to sustain a stable population? Life support and community systems that will need to be created are atmosphere system, water system, housing, recreation, food system, hospital, school, security, waste system and transportation. Where on Mars would you want to build your community? Consider Natural resources available and environmental constraints. What is the population of your city? Our city is a relatively small community with about 3000 people. Which system is each person responsible for? Investigate your specific assigned topic, and paste your research in the box below your name. How is Mars unique to this system challenge? What Earth systems are you using for inspiration? Describe your Sustainable Design solution. Police/Fire Department– for the fire and police department, there would be only one building because we would not need firefighters anymore. We would use a special system that if it sense the fire, then it will pure the water automaticly. It would be loaded everywhere into the ground of a dome. For the Police department we would need only one department. Same as on earth, they would protect people on mars. But we would not have guns, instead we would have electroshocker bullets. But we would have a secret gun place in case. The system for the fire, I am mimicked from earth, but just made it a bit more unique, same as a police department. It is all inspired by Earth. 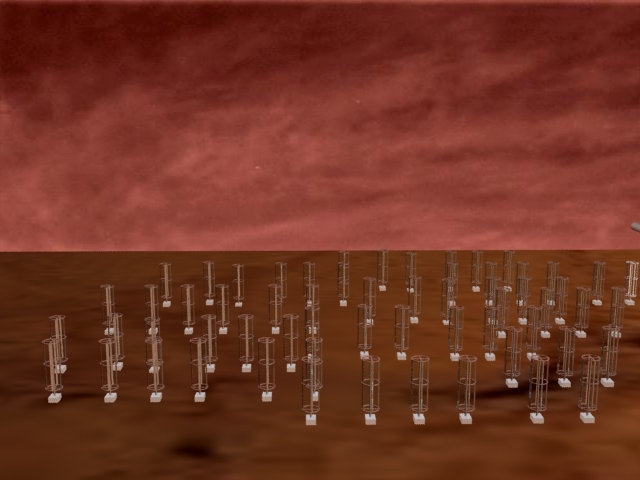 Occasionally, winds on Mars are strong enough to create dust storms that cover much of the planet. After such storms, it can be months before all of the dust settles. The maximum wind speeds recorded by the Viking Landers in the 1970’s were about 30 meters per second (60 miles an hour) with an average of 10 m/s (20 mph). Mars has a core consisting of iron and sulfur. It has a mantle made of silicates and its surface is mostly basalt. if mars’ mantle is hot enough we can use geothermal to makes electricity and melt the ice in stages first into water then into a gas. Once that water vapor is used was can cool it down for drinking water. 1.Investigate your specific assigned topic, and paste your research in the box below your name. 2. How is Mars unique to this system challenge? Mars is further away from the sun therefore, get much less sunlight, which would make it to grow crops. Then there’s radiation, usually helpful to Earthbound sodbusters because enough is filtered out by our atmosphere, but not on mars where the surface (any plant growing on it) will get a huge dose unless it somehow can be mitigated. 3. What Earth systems are you using for inspiration? 4. Describe your Sustainable Design solution. Easy fruits to grow: Strawberries, Blueberries, Blackberries, Apples, Figs, Raspberries, Honeyberries, Currants. Vegetables: Lettuce, Carrots, beans, basil, tomatoes, peppers, radishes, spinach, cucumbers, squash, broccoli, peas, eggplant, potatoes. Mars is unique to this system challenge by not having regular liquid water as there is on Earth. There is not soil as there is on Earth to grow food or do farming. What Earth systems are you using for inspiration? I am using for inspiration from Earth systems a green house designs by with a little change of having a way to walk through the different plantations. The sustainable design solution is to have a greenhouse with a water system which is going to come from bottom to top. There is going to be different labels inside the house for the different types of vegetables and fruits. For each label there is going to be stairs with a minimum of five labels and little ways to walk just as a normal farm. We are going to use an electrically heated tank to melt the water and the pipes are going to transport the hot water into a cooling tank. The pipes are going to transport the cold water into the water container where then is going to be transported by tubs for farming ( plants getting water to grow). The lighting for the greenhouse is coming UV lamps which is going to help the plants to grow. The greenhouse is going to be in the main dome and there is going to be the other small dome which is going to be 1 city block ^2. There is going to be five levels inside each dome. We are going to get proteins from cows, pigs, and chickens and there is going to be a single dome (2 city blocks) for them. 1)Investigate your specific topic assigned topic, and paste your research in the box below your name. 2)How is Mars unique to this system challenge? Mars is unique to this system challenge because it is very dusty and cold. 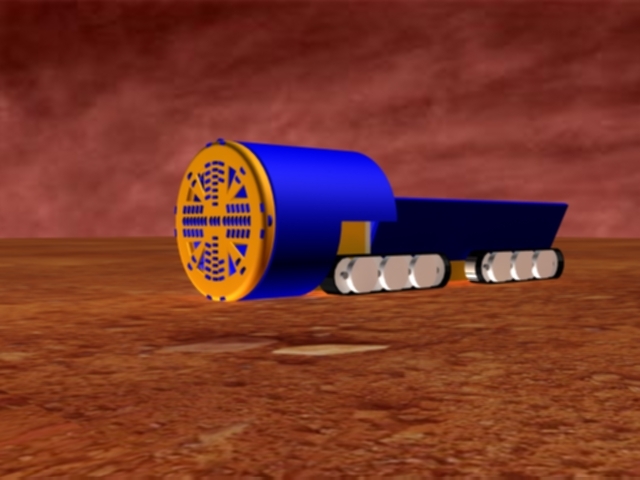 Therefore it will be pretty difficult to construct a transportation we have here on earth at Mars.Which means that we will have to create something similar to what we have here on earth in mars except when it is in mars it has to be dust proof and more warm. 3)What Earth systems are you using for inspiration? An Earth system that i think that would best fit on mars would be a hydrogen fuel cell tram but instead of hydrogen we are gonna use electricity because it is sustainable and it can also fit 20-30 people per attachment on it and there will be a couple of attachments. Also because we are going to have wind turbine and other energy generators built on mars it is more efficient for us to use that energy to power the trains. 4)Describe your sustainable design solution. My sustainable design solution is to build a bullet train that will run on the energy systems that we would have created and mars. I chose the bullet train because a train can fit more people and travel at a higher speed so it could bring the people where they need to go faster. Materials that i am going to use to construct the bullet train would be materials that are native to mars which we can gather from the ground such as iron, aluminum, lead,antimony, and also we could crush some other rocks there to create flooring for bikes and roads.Since mars use to have volcanoes and they have erupted to create mars there should be molten rock underground and since other elements could seep through they end up forming materials like the ones i mentioned above.The main thing that we may need to transfer from earth would be the leather seatings which come from cowhide from cows. So if there were going to be a farm in a dome it would be more efficient and we wouldn’t need to transfer the material from Earth. Also since mars has less gravity we will use up less water because the train will travel faster. How is Mars unique to this system challenge?What Earth systems are you using for inspiration?Describe your Sustainable Design solution. Mars has no liquid water on the surface of the planet. There is however an abundance of ice. We will harvest ice from the surrounding plain and in the polar ice caps. We will have robots that will mine and transport the ice. The ice will be brought back and we will use water heating tanks to melt the ice into liquid water. We will then filter and process the liquid so that it can be usable water. The filtered water can be directly piped heated for use or be placed in a cooling tank for later use. The water that we get from the ice caps will then be recycled and reused with a water treatment plant. argon 25.0% // from the atmosphere because is 3.8% heavier than oxygen, it is important to create a well ventilated space. otherwise argon will sink down that push the oxygen out. oxygen 25.0% // from Separating Fe2O3 and Al2O3. most of the oxygen is come from suppurating Fe2O3. the nitrogen is extracted from the mars atmosphere. there will be small cloud formations produced by esteems generated by waters used to cool the electric arc furnace. Waste – Mars is unique to this system challenge because it will not clean up people’s waste like earth does.On mars we would have different waste, but it is very possible to make a cycle system that would reuse and recycle our waste. We would recycle metals , wood and any other materials that mars would use to build something; compose human bodies, bad food and animals; We also will make mushroom death suits to help a dead body to get rid of chemicals, so when we will compose it, it will be clean and healthy. Same as on Earth, we would have two bins for waste in every house. Then we will provide composed toilets, so we would not waste water much. We would use recycling bin and composing bin, but we would not use trash bin that would be sent to landfill. Those are all the systems I am using for inspiration from Earth. Human would get sick or get hurt on Mars, so there should be a health and medical support department to provide medication service. It is a challenge to make this on Mars because virus cause people sick most the time, we don’t know what type of virus or if any virus exist on Mars, so I will create a virus research institution on Mars for studying Mars virus. And there probably not exist any chemicals/plants on Mars,which are needed to make medication. The certain way to make medication on the Earth is take something from plants to make medication. So the Sustainable way to solve human’s health problem is bring some seeds of medicinal from the Earth and plant them on Mars. For example, Echinacea is one type of plant use for cold, headache, and cough; cactus are one type of plants for relieving pain and scald etc.. I will set up a hospital system on Mars, which is a general hospital will be located at the central dome, and some small hospital will be located at other a few dome and they must be near to the housing domes. Also, human’s health problem is important when being on the spacecraft. People will probably get many health problem when they are on the spacecraft. For example, people’s head will be swollen because there is zero gravity on the universe, so we need a machine to adjust the blood pressure. And human’s eardrum will get hurt when driving spacecraft, so I will recommend people to have a headphone which can protect their eardrum. And the spacecraft must to have a thermal insulation for heat protection. Mars is unique to this design challenge because the buildings need to be built differently (weather is a major factor in regards to the way engineers/scientists deal with design challenges).Schools also need additional resources to accommodate students in the new environment. The educational/schooling system is modeled after Singapore’s schooling system. Singapore is a small-sized city, and their schools are built in a way that utilize the interior and exterior spaces. Some features include green roofs, internal reflecting pools, daylighting fenestration systems, and walking bridges. School will be free for all students until the 12th grade, at which point they will have to begin paying for their own higher education (vocational or university). The money will be recycled and fund the lower division grades. My sustainable design solution is to create buildings that are made with sustainable materials such as iron, nickel, sulfur, bay salt, and limestone. After transporting the first few batches of materials, we will bring seeds to grow trees and other important key plants. one closet for each bedroom. 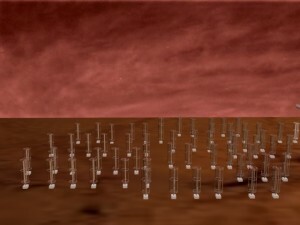 Mars is unique to this system challenge because Mars is windy and has a low temperature. People can not live on Mars as a humans usually live normally on Earth because it is extremely colder than Earth. There are environmental and natural disaster everywhere on Earth, so I will build Security/safety shelter underground to prevent something happen to the environmental/natural disaster on Mars. Housing on the ground – I will use sustainable material, especially bamboo because we are going to plant bamboo(a giant woody grass that grows chiefly in the tropics, where it is widely cultivated). Create an individual storyboard for Revit or 3Ds Max Model. Scan a picture of your storyboard and Paste in the box below your name. Your animation will need to be completed in scenes. Frames of Max shots need to indicate the camera angles you will be using, special effects, sound effects for each frame etc. ❖ A storyboard is a simple planning device used to sketch out the actions of a story. ❖ You can illustrate camera movements or people walking in storyboards by drawing arrows within your storyboard. ❖ The storyboard should contain a basic drawing of what will happen on screen, as well as information about other relevant elements-movements, interactions (e.g. dialog boxes), sounds, and location. Make at least one still rendering and paste in box below your name. Write a description of your design solution and how it addresses the particular challenges faced on Mars. Paste your description and paste in box below your name. How my design solution for the Mars Marvel project helps addresses the challenges faced on mars is it doesn’t require much because the materials that are needed should be found under Mars’s surface. Also since everything on Mar’s is going to be run by an electrical system built by someone else in the group it won’t really affect what we need to build it and or keep it running.My sustainable design solution is to build a bullet train that will run on the energy systems that we would have created and mars. I chose the bullet train because a train can fit more people and travel at a higher speed so it could bring the people where they need to go faster. Materials that i am going to use to construct the bullet train would be materials that are native to mars which we can gather from the ground such as iron, aluminum, lead,antimony. The train is also going to be attached in 2 different spots so there would be more space for the passengers and more people could ride it at one time. For the bike the bike is going to have its own separate lane on top of the underground bullet train station. Which is also next to the above ground station.The bike is going to have a lane where it is separated from the people going up and the people going down and there will also be a decent amount of space just incase a few more people want to bike so that it will not be crowded and such. The materials we are going to use for the bike is probably aluminum or iron because those metals are quite sustainable. The bullet train is also shaped thinner so that the aerodynamics will make it move even faster through the domes do that people don’t have to worry about being late and such. Energy production is one of the most vital pieces in making and sustaining a colony colony on mars. As a result we have created multiple ways to harvest electricity. First we thought of using solar panels but Mars has major sand storms that can last months at a time and would cover up the solar panels. So we thought of making an enormous solar space station that would collect the energy form the sun and transport it by a wireless energy transmitter or a really big tesla coil. the electricity will then be captured by another tesla coil next to the colony and will be able to be use. the solar panels will be made from the silicates that is naturally found in Mars’ crust.Next, the other way we are trying to create electricity is by growing algae then harvest it and process it to be burn as biofuel.the pools that the algae will be held in are going to be made out of basalt which is naturally found in mars’ surface. there will be one dome dedicated to the algae production.in addition, another source of electricity will come from a series of vertical axis wind turbines( VAWT). we picked the vertical axis instead of the horizontal axis because there is a lot less surface area on VAWT, so it won’t get damages as badly as the HAWT. the VAWT will be made out a little bit of iron that is found all over mars and plastic that will come from the silicates. finally, the last source of electricity will come geothermal electricity. Scientist do not know if Mars’ mantle is molten or solid( Mars has the largest volcano in our universe so scientist are leaning toward the molten theory) , but hopefully it is because we can take advantage of the lava and create electricity. Mars lacks the liquid water that is essential to life. Mars however does have an abundance of ice located on its north pole. Ice can be safely extracted from the north pole using a tunnel boring machine. Because the polar ice cap is more than a mile in height, getting any drilling equipment to the top of the ice cap would be difficult. Using conventional methods of mining at the base of the ice cap could cause the part above the mining operation to collapse. A TBM can drill its way through the ice without compromising the structure of the ice cap.The ice that is extracted will be brought back to the colony on the machines and the ice will be put into a heated tank that will melt the ice. The water will then be piped to a water treatment plant and the water can then be directly used or stored away for later use. mars is a lifeless piece of rock that has a very thin and toxic atmosphere. it have only 0.15 % of Oxygen while on earth Oxygen make up 21% of the air we breath in. therefore creating oxygen using resources on mars is a vital step for human to inhibit this unforgiving planet. there is serval way to get Oxygen from mars, it can be extracted directly from the mars atmosphere, by separating water, by separating rocks or use photosynthesis.extracting gas from air is nothing new but a very difficult task indeed. people can extract industrial grade Oxygen by freezing air into liquid form usually rapidly decompress and compress the air till it is below-183°C which O2 becomes liquid. than we ‘boil’ the liquid air to gas by slowly let the air warm up to normal. because different gas has different boiling points (oxygen -183°C, argon -185.8°C, nitrogen -195.8°C, Carbon dioxide -57°C). Due to it is very dangerous to live in a pure oxygen filled environment not only because it will possibly make you age faster but it also make fire easier to ignite, even materials that wouldn’t burn will catch fire i.g. iron and aluminum. this is why it is important to mix in other gas to ensure the safety for people who inhabit the planet. on earth we have 78% of nitrogen. we are very lucky that almost all the gas besides oxygen is nitrogen, because it weight of nitrogen is almost the same so oxygen wouldn’t pushed to the top where we couldn’t easily get. and most importantly it is not toxic to us. i propose we can use this method to separate only CO2 and CO from mars atmosphere and import the rest of the air to the habitat and make O2 from other sources because CO2 boils at much higher temperature, it is the most easy way to have a “non toxic” atmosphere. Hospital system is an important system for human’s health and medical support. Especially on Mars, human have never been on Mars, so there would be lots of challenges for human to live on Mars. The most challenges thing shall be health and medical support.The plan is build a general hospital at the central dome. I pick the location of hospital at the central dome because people can go to the main dome rapidly. Inside the hospital, there are research institution, operation room, dentistry room, etc. . There are three floors inside the building, and each floor is about 15000 square feets, it is totally enough for a three-thousand-people-city. For the Mars Metropolis project I made unique green house so people can get food out of it. For this challenging project it was hard to get soil and fertilizers for the vegetables and fruits plants. With the help of the energy system and the water system I was able to make a sustainable design for this amazing project. Thinking about the other challenges Mars gives us such as the weather which is really cold for some of the plants. These plants would not be growing in greenhouse without regulating the temperature that goes into each of the greenhouses that we developed inside the big dome and into the small dome which is not connected with the main dome. The small dome is a great place for us to place the other alternative greenhouse because if something goes wrong with the different greenhouses located in the main dome people could not get food to feed them and their families. In each of the greenhouses there are different sections for different types of vegetables and plants. There are sections for carrots, tomatoes, strawberries, blueberries, blackberries, apples, figs, raspberries, honeyberries, currants, lettuce,beans,basil, peppers, radishes, spinach, cucumbers, squash, broccoli,peas,eggplants and potatoes. The sustainable design solution is a greenhouse with a water system which is going to come from bottom to top. We are going to use an electrically heated tank to melt the water and the pipes are going to transport the hot water into a cooling tank. The pipes are going to transport the cold water into the water container where then is going to be transported by tubs for farming ( plants getting water to grow). The lighting for the greenhouse is coming UV lamps which is going to help the plants to grow. The water is going to be cooldown and then is going to come straight to the soil but, it’s not going to go all the way to the leaves of the plants because the leaves does not need it and we want to keep the greenhouses as sustainable as possible. Each of the levels of the main dome has at least one greenhouse. We are going to get proteins from cows, pigs, and chickens and there is going to be a single dome (2 city blocks) for them. The animals are going to be located inside the small dome on the bottom level. Their poop is going to be used as a fertilizer for the plants. Waste Management Mars is unique to this system challenge because it will not clean up people’s waste like earth does. On mars we would have different kind of waste, but it is very possible to make a cycle system that would reuse and recycle our waste. We would recycle building materials that only mars produces; we would compose dead bodies and animal waste to make soil or use them as biofuels. We also will make mushroom death suits to help a dead body to get rid of chemicals, so the time we compose it, it would be clean and healthy. Same as on Earth, we would have two bins for waste in every house and on the streets. For that, we would use recycling bin and composing bin, but we would not use trash bin that would be sent to landfill. Then we would provide composed toilets, so we would not waste a lot water. Those are all the systems I am using for inspiration from Earth. Recreation CenterRecreation center would be one of amazing places on mars. It would be in one separate dome where family could spend their time by having fun. A dome would include a lot of trees, small lake and public sits. There would be a Recreation center building which would include a cafeteria and an office. Cafeteria is also for public and people would choose rather they would want to eat inside or outside. The benefits of recreation center is that it would help to produce soil and also would mimic a park-green space from earth. SecurityOn mars, we would have Fire and Police Department in one building because we would not use people to be firefighters, but robots and different systems. We would use a special system would sense the fire, then it would pure a special chemicals automaticly to kill the fire. It would be loaded everywhere in the ground of a dome. For the Police department we would need only one department. Same as on earth, they would protect people of mars. But we would not have guns, instead we would have electroshocker bullets. But we would have a secret gun place in case of emergency. The system for the fire, I am mimicked from earth, but just made it a bit more unique, same as a police department. It is all inspired by Earth. The educational/schooling system is modeled after Singapore’s schooling system. The schooling system is broken down into 5 categories: elementary, primary, secondary, vocational, and university. Singapore is a small-sized city, and their schools are built in a way that utilize the interior and exterior spaces. Some features include green roofs, internal reflecting pools, daylighting fenestration systems, and walking bridges. School will be free for all students until the 12th grade, at which point they will have to begin paying for their own higher education (vocational or university). The money will be recycled and fund the lower division grades. My sustainable design solution is to create buildings that are made with sustainable materials such as iron, nickel, sulfur, bay salt, and limestone. After transporting the first few batches of materials, we will bring seeds to grow trees and other plants. Housing system create for people to live in the future on Mars. As we have a big dome to protect our community, I used sustainable material, bamboo as my housing material. In housing area, I will have many individual house and several apartment house. Individual house have four bedrooms, one kitchen, two bathrooms and one living room, it is two levels house and it can fit about five people. Apartment house have three to four bedrooms, one kitchen, one bathroom and one living room and it can fitabout four people. in each small apartment. Apartment housing cost cheaper than individual housing and apartment is for the people who first came to Mars who need to adapt the environment of Mars or the people who want to save money, Individual housing is best for family on Mars. Tells the story of your Mars Metropolis. Write a description of your community and the solutions to the design constraints placed upon you by conditions on the planet. For ages people have dreamed of traveling through space to distant planets, now in the year 2130 those dreams have come true. After several successful missions to mars we have formed a colony on the red planet. Our colony is made up of a large dome and many other smaller domes. the Dome is located next to the polar ice cap.Our population consists of 3,000 men and women, each person in the colony has there specific job from engineers to doctors. There were many obstacles that we had to overcome. For example some of the problems we had to face were energy production, housing, food, water, atmosphere, transportation,waste management, healthcare, and security.Energy production is one of the most vital pieces in making and sustaining a colony on mars. As a result we have created multiple ways to harvest electricity. First we thought of using solar panels but Mars has major sand storms that can last months at a time and would cover up the solar panels. So we thought of making an enormous solar space station that would collect the energy from the sun and transport it by a wireless energy transmitter or a really big tesla coil. The electricity will then be captured by another tesla coil next to the colony and will be able to be used. The solar panels will be made from the silicates that is naturally found in Mars.Next, the other way we are trying to create electricity is by growing algae then harvesting it and processing it to be used as biofuel.The pools that the algae will be held in are going to be made out of basalt which is naturally found in mars’ surface. There will be one dome dedicated to the algae production. In addition, another source of electricity will come from a series of vertical axis wind turbines (VAWT). We picked the vertical axis instead of the horizontal axis because there is a lot less surface area on VAWT, so it won’t get damages as badly as the HAWT. The VAWT will be made out a little bit of iron that is found all over mars and plastic that will come from the silicates. We have created a housing system for people living on Mars. We have a big dome to protect our community from the elements, we used sustainable material and material that is naturally found on Mars such as basalt, iron, aluminum, and grown bamboo as housing materials. In housing area, we will have many individual houses and several apartment houses. Individual house have four bedrooms, one kitchen, two bathrooms and one living room, it is a two level house and it can fit about five people. The apartment has three to four bedrooms, one kitchen, one bathroom and one living room and it can fit about four people in each small apartment. Apartment housing cost substantially cheaper than individual housing and apartments are for people who first came to Mars who need to adapt the environment of Mars or the people who want to save money, individual housing is best for a family on Mars. For the Mars Metropolis project we made unique green house so people can get food out of it. For this challenging project it was hard to get soil and fertilizers for the vegetables and fruits plants. With the help of the energy system and the water system I was able to make a sustainable design for this amazing project. Thinking about the other challenges Mars gives us such as the weather which is extremely cold for all of the plants. These plants would be placed in separate greenhouses to regulate temperature to fit the plants’ natural environment. The small dome is a great place for us to place the other alternative greenhouse because if something goes wrong with the different greenhouses located in the main dome people could get food to feed them and their families. In each of the greenhouses there are different sections for different types of vegetables and plants. There are sections for carrots, tomatoes, strawberries, blueberries, blackberries, apples, figs, raspberries, honeyberries, currants, lettuce,beans,basil, peppers, radishes, spinach, cucumbers, squash, broccoli,peas,eggplants and potatoes. The sustainable design solution is a greenhouse with a water system which is going to come from bottom to top. We are going to use an electrically heated tank to melt the water and the pipes are going to transport the hot water into a cooling tank. The pipes are going to transport the cold water into the water container where then is going to be transported by tubs for farming ( plants getting water to grow). The lighting for the greenhouse is coming UV lamps which is going to help the plants to grow. The water is going to be cool down and then is going to come straight to the soil but, it’s not going to go all the way to the leaves because the leaves do not need water and we want to keep the greenhouses as efficient as possible. Each of the levels of the main dome has at least one greenhouse. We are going to get protein from cows, pigs, and chickens and there is going to be a single dome (2 city blocks) for them. The animals are going to be located inside the small dome on the bottom level. Their poop is going to be used as a fertilizer for the plants and if there is a surplus of fertilizer we process it to make electricity. Mars lacks the liquid water that is essential to life. Mars however does have an abundance of ice located on its north pole. Ice can be safely extracted from the north pole using a tunnel boring machine. Because the polar ice cap is more than a mile in height, getting any drilling equipment to the top of the ice cap would be difficult. Using conventional methods of mining at the base of the ice cap could cause the part above the mining operation to collapse. A TBM can drill its way through the ice without compromising the structure of the ice cap. The ice that is extracted will be brought back to the colony on the machines and the ice will be put into a heated tank that will melt the ice. The water will then be piped to a water treatment plant and the water can then be directly used or stored away for later use. Mars is a lifeless piece of rock that has a very thin and toxic atmosphere. it has only 0.15 % of Oxygen while on earth Oxygen make up 21% of the air we breath in. Therefore creating oxygen using resources on mars is a vital step for humans to inhabit this unforgiving planet. There is serval way to get Oxygen from mars, it can be extracted directly from the mars atmosphere, by separating water, by separating rocks or use photosynthesis. Extracting gas from air is nothing new but a very difficult task indeed. people can extract industrial grade Oxygen by freezing air into liquid form usually rapidly decompress and compress the air till it is below-183°C which O2 becomes liquid. Then we ‘boil’ the liquid air to gas by slowly let the air warm up to normal. Because different gas has different boiling points (oxygen -183°C, argon -185.8°C, nitrogen -195.8°C, Carbon dioxide -57°C). Due to it is very dangerous to live in a pure oxygen filled environment not only because it will possibly make you age faster but it also make fire easier to ignite, even materials that wouldn’t burn will catch fire i.g. iron and aluminum. this is why it is important to mix in other gas to ensure the safety for people who inhabit the planet. On earth we have 78% of nitrogen. We are very lucky that almost all the gas besides oxygen is nitrogen, because it weight of nitrogen is almost the same so oxygen wouldn’t pushed to the top where we couldn’t easily get. most importantly it is not toxic to us. We propose we can use this method to separate only CO2 and CO from mars atmosphere and import the rest of the air to the habitat and make O2 from other sources because CO2 boils at much higher temperature, it is the most easy way to have a “non toxic” atmosphere. How my design solution for transportation helps addresses the challenges faced on mars because it doesn’t require much because the materials that are needed are found under Mars’s surface. Also since everything on Mar’s is going to be run by an electrical system built by someone else in the group it won’t really affect what we need to build it and or keep it running. My sustainable design solution is to build a bullet train that will run on the energy systems that we would have created and mars. I chose the bullet train because a train can fit more people and travel at a higher speed so it could bring the people where they need to go faster. Materials that i am going to use to construct the bullet train would be materials that are native to mars which we can gather from the ground such as iron, aluminum, lead,antimony. The train is also going to be attached in 2 different spots so there would be more space for the passengers and more people could ride it at one time. For the bike the bike is going to have its own separate lane on top of the underground bullet train station. Which is also next to the above ground station.The bike is going to have a lane where it is separated from the people going up and the people going down and there will also be a decent amount of space just incase a few more people want to bike so that it will not be crowded and such. The materials we are going to use for the bike is probably aluminum or iron because those metals are quite sustainable. The bullet train is also shaped thinner so that the aerodynamics will make it move even faster through the domes do that people don’t have to worry about being late and such. Mars is unique to this system challenge because it will not clean up people’s waste like earth does. On mars we would have different kind of waste, but it is very possible to make a cycle system that would reuse and recycle our waste. We would use building materials that only mars produces; we would compose dead bodies and animal waste to make soil or use them as biofuels. We also will make mushroom death suits to help a dead body to get rid of chemicals, so the time we compose it, it would be clean and healthy. Same as on Earth, we would have two bins for waste in every house and on the streets. For that, we would use recycling bin and composting bin, but we would not use trash bin that would be sent to landfill. Then we would provide composed toilets, so we would not waste a lot water. Those are all the systems I am using for inspiration from Earth. The hospital system is an important part for human’s health and medical support. Especially on Mars, there would be lots of challenges for human to live on the red planet. The most challenging thing is health and medical support. The plan is to build a general hospital at the central dome. We pick the location of hospital at the central dome because people can go to the main dome rapidly. Inside the hospital there are research institutions, operating rooms, dentistry room, etc. . There are three floors inside the building, and each floor is about 15000 square feet, it is big enough for a 3000 person city. On mars, we would have Fire and Police Department in one building because we would not use people to be fighting fires, however robots and different systems will be putting out fires. We would use a special system that would sense the fire, then it would pore a special chemicals automaticly to extinguish the fire. It would be installed everywhere in the ground of a dome. For the Police department we would need only one department. Same as on earth, they would protect people of mars. But we would not have guns, instead we would have electroshocker bullets. But we would have a secret gun place in case of emergency. The system for the fire, we mimicked from earth, but just made it a bit more unique, same as a police department. It is all inspired by Earth. The recreation center would be one of the most amazing places on mars. It would be in one separate dome where families could spend their time by having fun. A dome would include a lot of trees, small lake and public sits. There would be a Recreation center building which would include a cafeteria and an office. Cafeteria is also for public and people would choose rather they would want to eat inside or outside. The benefits of recreation center is that it would help to produce soil and also would mimic a park-green space from earth. As you can see, we have conquered every obstacle that stood in our way and successfully created a colony on Mars where people can not only survive but thrive. We have found a way to mimic life on earth even though they will be thousands of miles away.